It’s not all that often I’m blown away by how uniquely unexpected an artist’s sound is. Perhaps it’s partly that Can’t Buy Love was the opener – a brilliant song, gorgeously atmospheric, openly sentimental, funky and quirky in a subtle but cool way. It undoubtedly starts things off on the right foot, introducing that Cat Dail approach to creativity and expression in a totally refreshing manner. Fight For Love as a collection offers exactly what is promised in the description, which is very little that can be pigeonholed. Is it Blues? Funk? Rock? Soul? Folk? Yes. It’s Indie Music from talented musicians with broad range & big love. 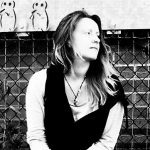 The songs themselves have the honesty and character of a singer-songwriter release, Cat Dail’s leading voice adds so much to this in itself – showcasing a strong connection to the writing and the performances, and highlighting the fact that a solo acoustic show would be equally interesting. Musically though, this album offers so much that leans in the direction of all of the above. The EP is colourful, crossing borders between genres, toying around with structure and rhythm – again, always in a subtle way, but enough so to make the music feel fresh. Catch Fire is the perfect example of this utilization of set-up and progression. Before that, Player presents a much more acoustic delivery of a passionate folk-like song – seeming notably more personal in this setting. Wonder Love is a song that fuses quite brilliantly the personal touch and the out-there ambiance. The instrumentation falls somewhere between The Pixies and Radiohead, with a dash of Portishead for good measure. 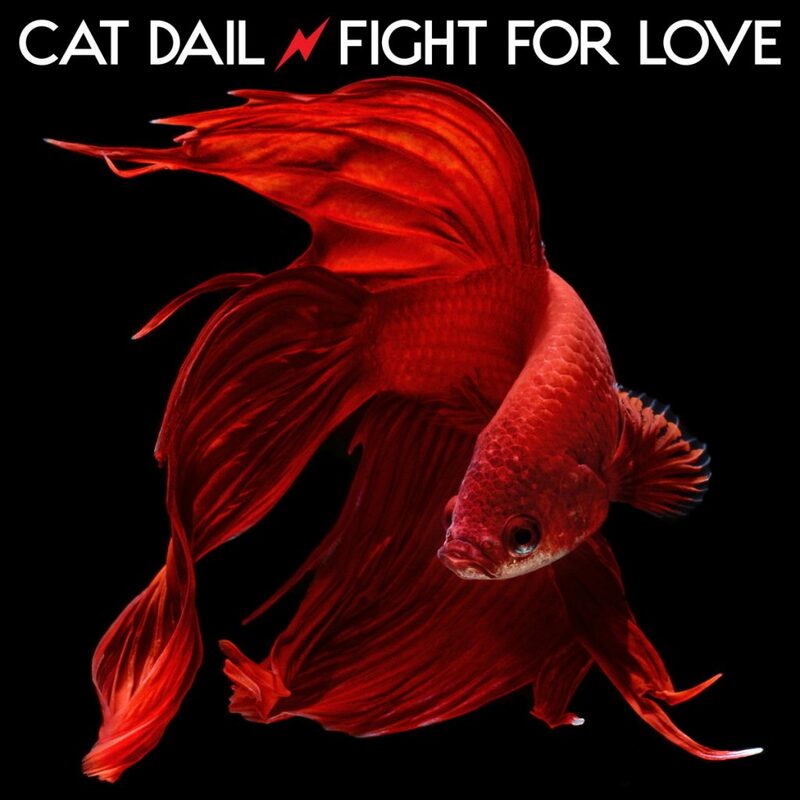 In reality, it’s the Fight For Love sound, the Cat Dail blanket of creative energy. Wonder Love is a great song, it sounds stylish and rhythmically bright in itself, but as it builds to the hook section – you get that almighty hit, that moment that brings with it an addictive shift in mood. Dail’s voice suits the sound of the melody perfectly, the additional voices as things grow help intensify the effect. Even when her performance is thoughtfully quiet, it doesn’t lose strength among the rising instrumentation. On the contrary, the music and the leading voice totally compliment one-another throughout. Flow Zone is another creatively free piece, funk driven and built out of unpredictable ingredients that simple work. At this point the thought of a live show really starts to appeal. The detail and energy combined have an air of brilliance about them. Following this, She Can Fly rightfully mellows things out again and lays bare the essential story-telling factor. The dreamlike or distant sound of the music occasionally draws you away from the leading voice as its own driving force, which is not a bad thing at all – it’s music working as it should – these softer moments though remind you of the heartfelt craftsmanship, the lyricism, the emotion and experiences that went into it all. There’s a necessary level of realness and humanity in the words that adds so much more to an already impressive and enjoyable project. Pushing for a little more of that Americana aura, Molly & Matchbox has a mildly familiar or nostalgic sound about it – feeling a little more mainstream than anything that came before. It presents yet another side to the creatives involved in the project, and still it satisfies and makes a lot of sense as the closing track. Another huge chorus section sees things end on a high; the effective use of contrast – the delicacy of the verses before this – make sure it really hits with warmth and memorable impact. Fight For Love is a genuinely impressive and unique project that I wish had been a little longer, but as always – it’s far better to leave your audience wanting more than to offer anything in the way of filler. Hopefully there’s plenty to look forward to. Stream the music on Spotify. Find & follow Cat Dail on Facebook, Twitter & Instagram. Visit her Website for more information.